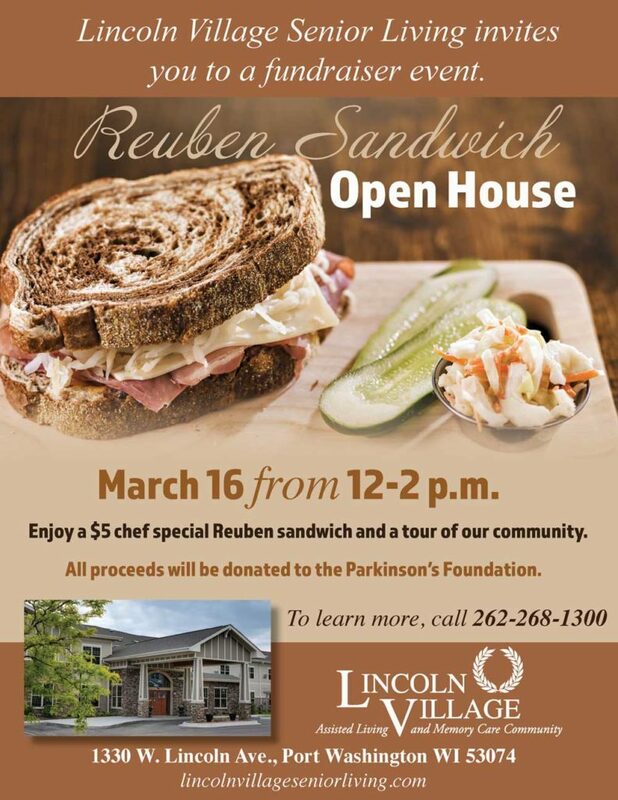 Grab a Reuben sandwich and support a great cause on March 16 at Lincoln Village Senior Living. Enjoy a $5 chef special Reuben sandwich and a tour of the community, will all proceeds going to the Parkinson’s Foundation. 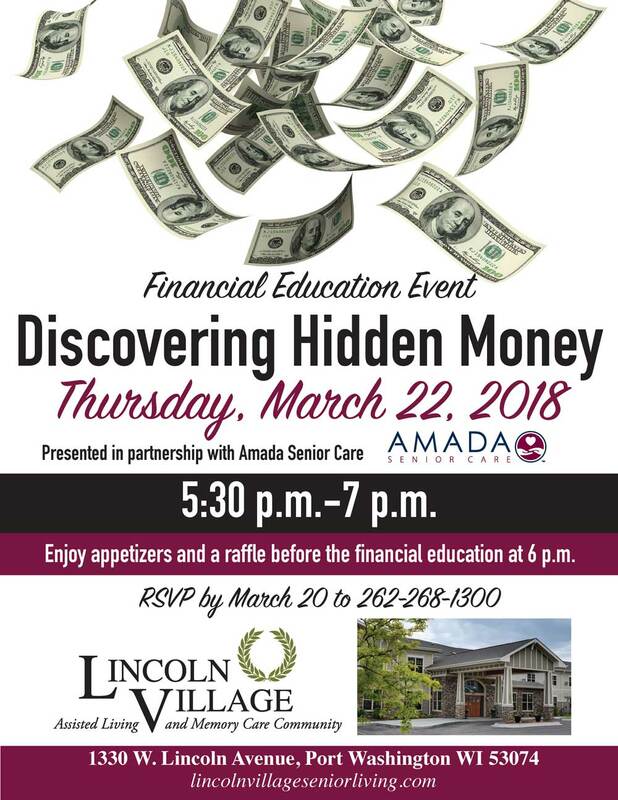 Join us at Lincoln Village Senior Living on Thursday, March 22, for a financial education event presented in partnership with Amada Senior Care. Enjoy appetizers and a raffle before the financial education at 6 p.m. RSVP by March 20 to save your spot! 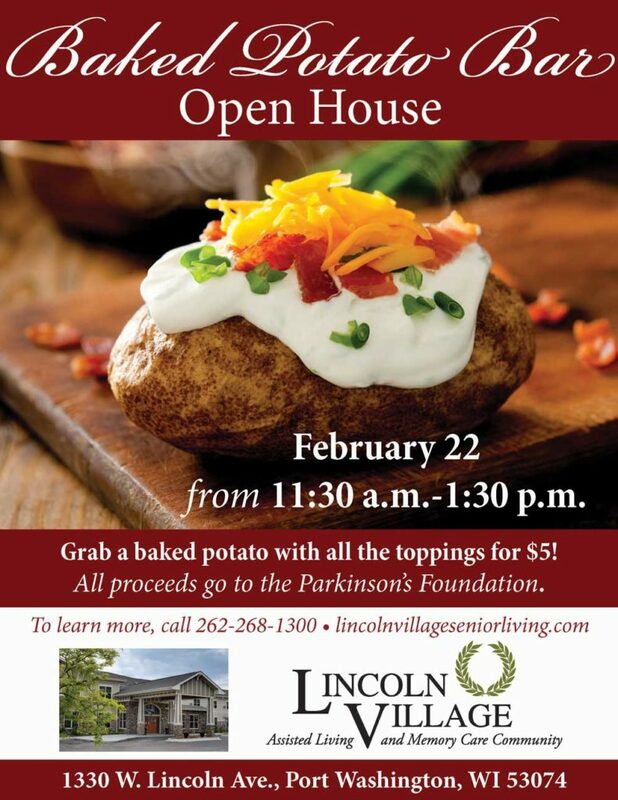 Stop by Lincoln Village on February 22 for a $5 baked potato bar with all the toppings. All proceeds go to the Parkinson’s Foundation.